Gold filled and sterling silver jump rings that open. Essential jewelry supplies for your studio! Closed soldered jump rings in sterling silver and gold filled for jewelry making. 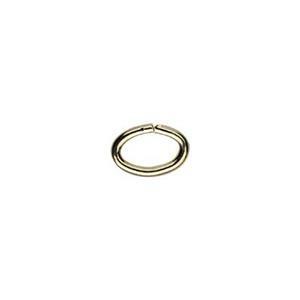 Split rings are jewelry findings much like jump rings for attaching charms or pendants. 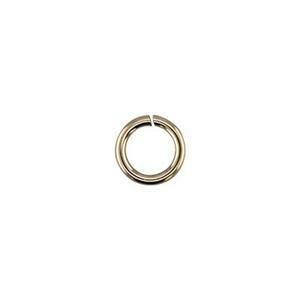 Bulk jump rings at great prices for all your jewelry making needs in sterling silver, gold filled and 14 karat gold. 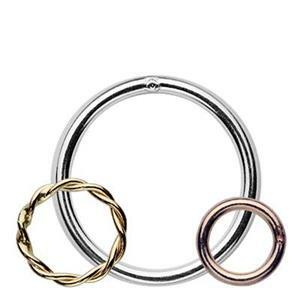 Jump rings are the tiny round or oval connecting links that hold everything together in accessory designs. You can make your own jump rings out of jewelry wire. But, these little jewelry findings are inexpensive to buy in bulk to save you time so you can focus on creating artful adornment. 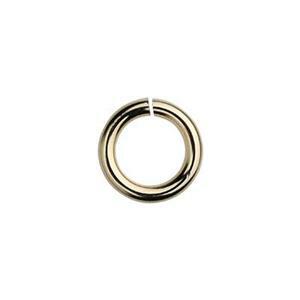 We offer multiple gauges and diameters as open jump rings or soldered closed jump rings for all your studio cold connections. 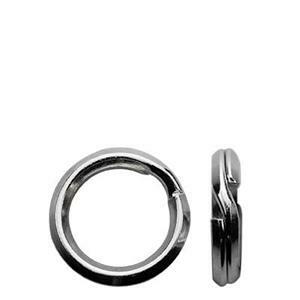 Find our hard tempered wire jump rings that securely snap into place and stay shut. 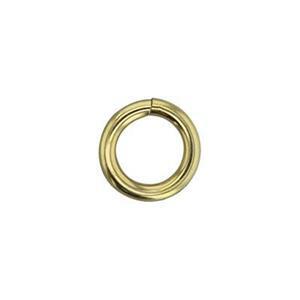 We provide hardness specifications for all the jump rings we sell so you can choose the best jump ring for the job. Soft jump rings are more flexible, but also more likely to bend open after they are attached. Harder jump rings close more securely. 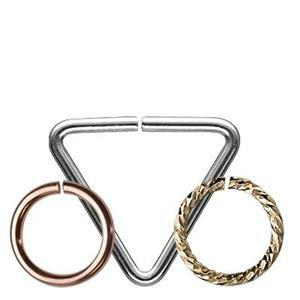 However, you can still choose softer temper jump rings if you plan to tumble or work harden your jewelry in some way. Or, softer jump rings are perfectly adequate for connections that join lightweight items that will not be pulled with tension. 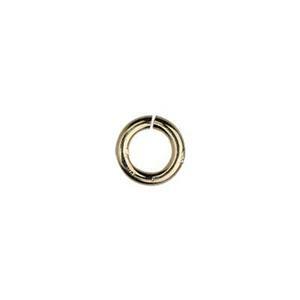 Tiny jump rings between 2mm-4mm are most frequently used to finish jewelry chain. We recomend soldering jump rings closed whenever possible when they are securing chain ends. 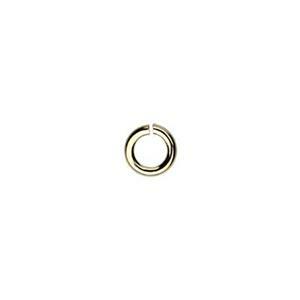 Middle sizes 5mm-6mm are frequently bought to attach charms and pendants to chains or beading work. Larger jump rings 7mm+ are often used as links in a design or chain mail construction. Use chain nose pliers to open and close jump rings by brushing the tips back and forth across one another to "twist" the jump ring open. Do not open by widening the gap and creating an open C-shape; this will weaken the metal and alter the shape of the jump ring. Ends should be totally flush when the jump ring is closed or the connection can work its way open over time. Check out our price breaks and see Halstead value for yourself! Shop our huge selection of wholesale jewelry chains as well as gold filled and other metals.